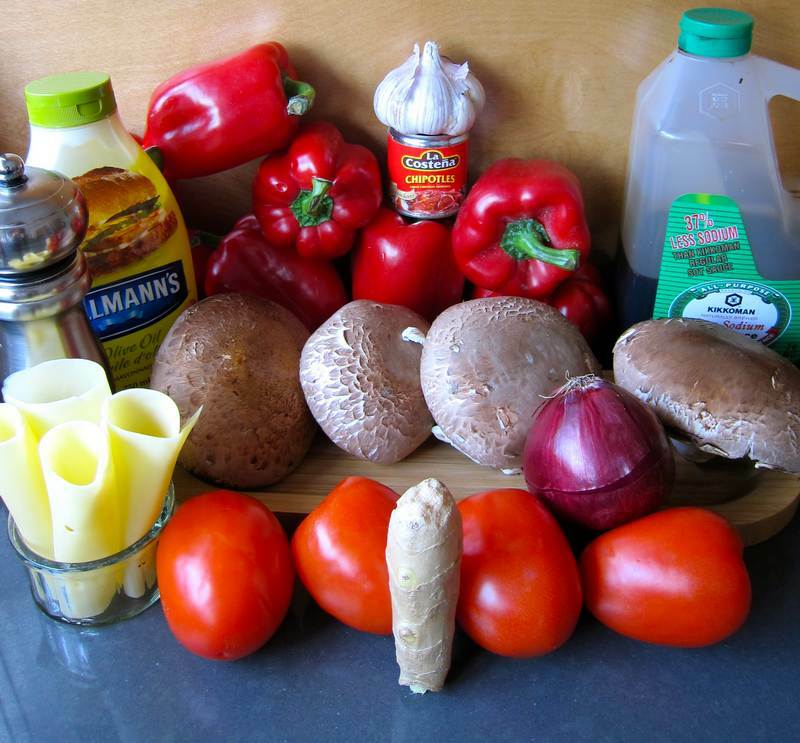 Portobello Mushroom Burgers with Chipotle Mayonnaise – Heavenly! Today’s recipe is courtesy of a wonderful chef, Barbara Eiswerth, who makes yoga retreats at El Encanto a culinary delight and is willing to share her specialties. You’ll be wanting to serve this at a dinner party. This recipe inspired oohs and aahs all around the table. 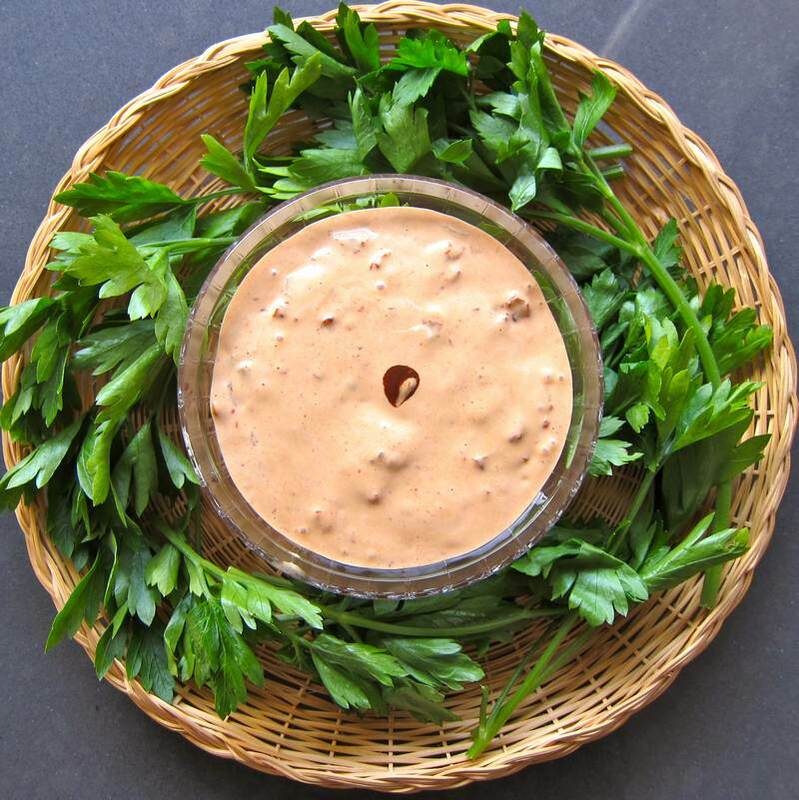 It was accompanied by outstanding Jicama Cabbage Carrot Coleslaw with Anise Dressing — next post. 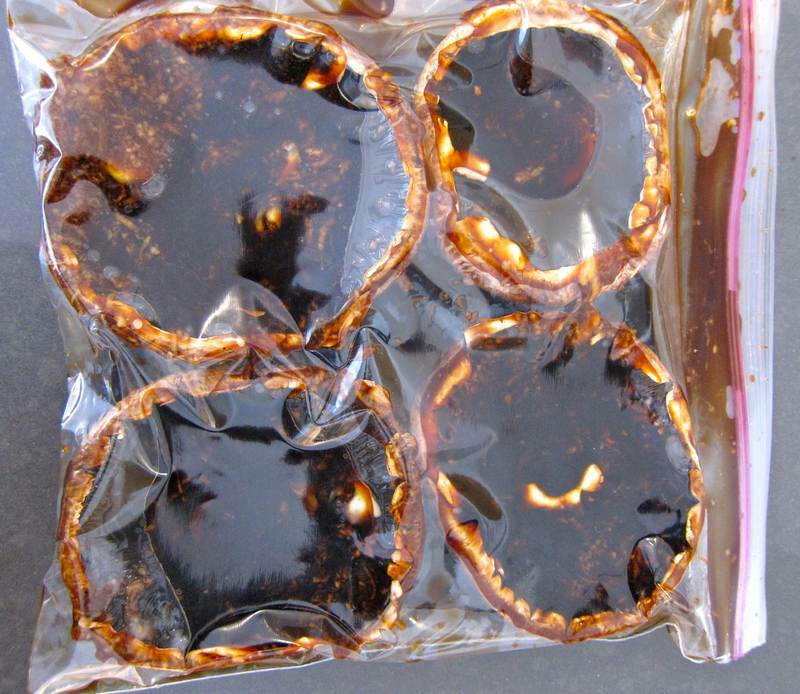 Marinate the mushrooms for about 6 hours in soy sauce, water, garlic and ginger. Cook the mushrooms encased in tinfoil or parchment paper to preserve moisture, either on the BBQ, on the stove or in the oven, for about 30 minutes at medium-high heat. 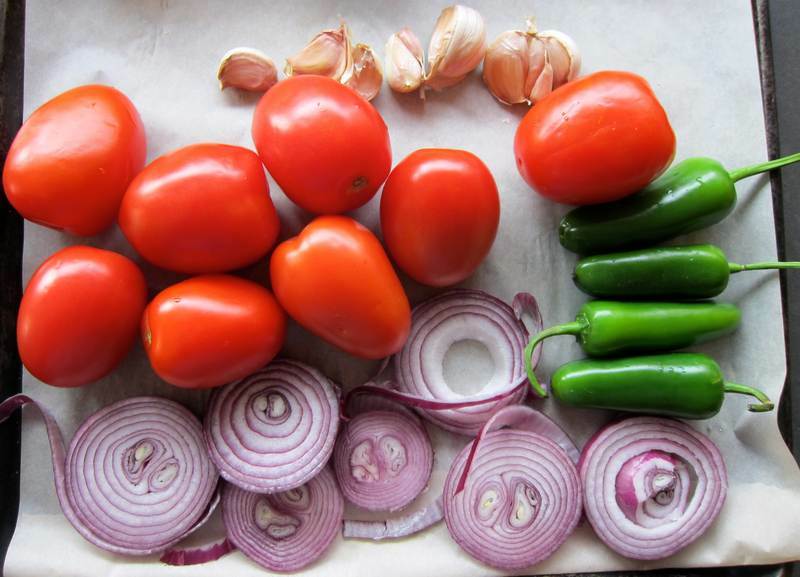 Lay out a platter of tomatoes and onions, a plate of roasted peppers, a small bowl of chipotle mayonnaise and another bowl of roasted salsa. 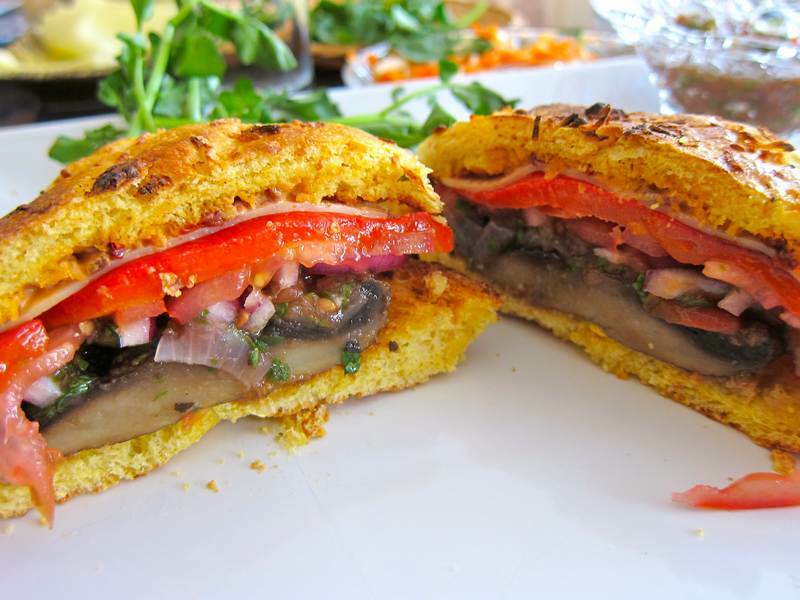 Serve 1 large or 2-3 smaller mushrooms, still warm, on each toasted bun and have each person construct their own towering combination of ingredients. 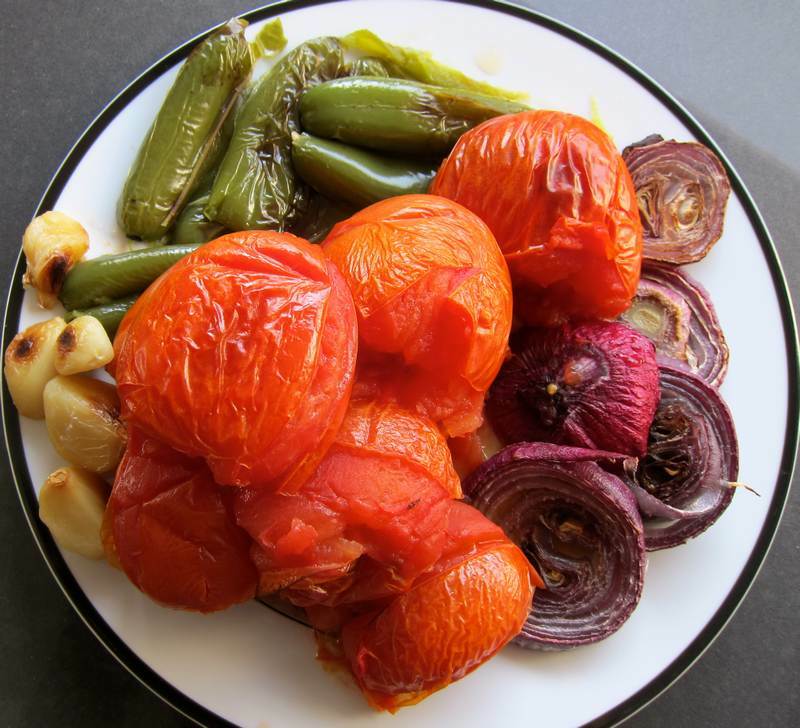 Roast the peppers, tomatoes, garlic and onion in the oven at 400 degrees for about 30 minutes. Remove the top stem part of the tomato and the jalapeños. Chop the onions by hand. Seed the jalapeños. Blend the tomatoes, garlic and jalapeños for a few seconds in a processor, adding lime juice and sea salt. Combine all ingredients. 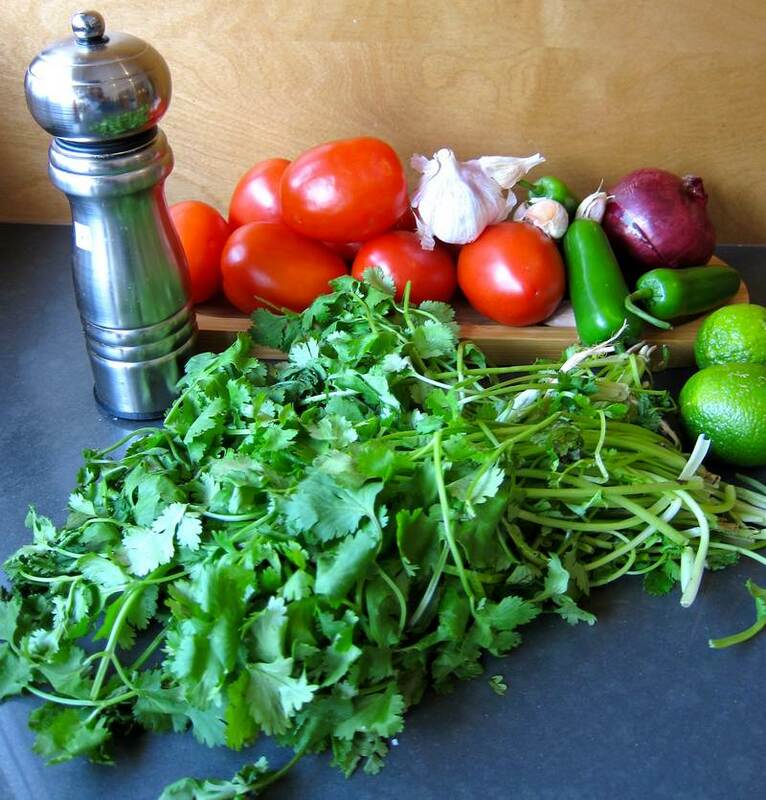 You will have way more salsa than you need for the burgers. Either make more burgers or enjoy with taco chips or scrambled eggs. Gift a jar full along with a link to this post and spread the joy. I enjoy all kinds of regular meat burgers from time to time, but I’ve always wanted to try a recipe for Portobello Mushroom Burgers. This recipe is so incredible that no one will complain about the lack of beef in the burger. They may, however, complain about the spice level, so tread carefully with the chipotle pepper and jalapeños. You may have left over chipotle mayonnaise. There will be an upcoming recipe to enjoy the remainder. Stay tuned. 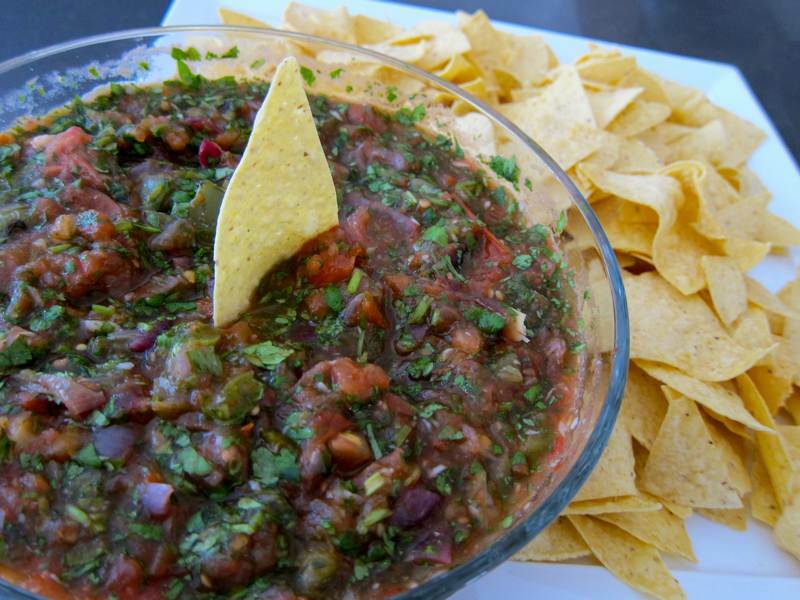 If you are short on time skip the Roasted Salsa. Hang onto this recipe for summer BBQ season. You can offer a choice of meat and vegetarian burgers with the same toppings. Will you be the next person to inspire a Jittery Cook success? Contact me ([email protected]) with your favorite recipe asap! See photos of El Encanto and the bird-crocodile watching boat ride along the mangroves below. I love using portobellos shrooms and this looks like a keeper. More work than I normally do but well worth it… Only one question. When. 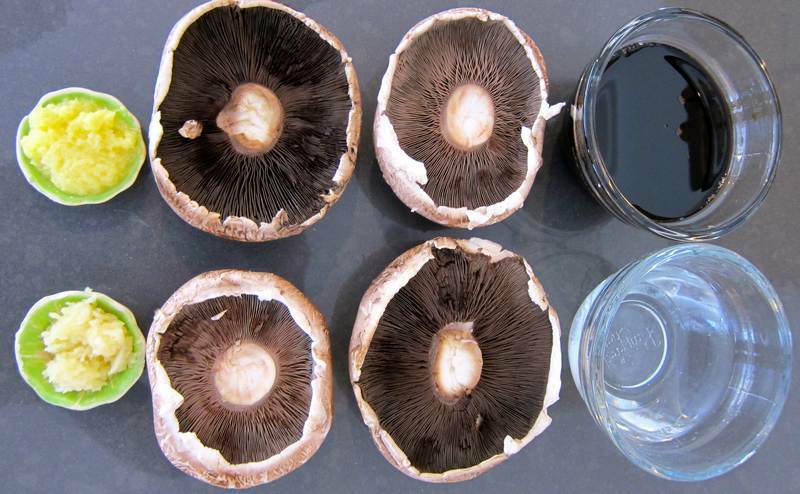 I use portobello mushrooms I usually pop out the black under side and I noticed that you did not. Would it taste any different the way I use them? It’s more work than I normally do as well. It got more manageable by splitting the work up over two days. Day 1 I made the salsa, mayo and marinated the mushrooms. Day 2 I just had to cook the mushrooms, buy and slice the rolls. I sent my husband out for the rolls, so that saved a step. I think that you will have the same flavour if you leave in the black underside, so I wouldn’t bother with that step. Glad you like the looks of this. Keep me posted on how you like the taste. I’m pretty sure that this is a restaurant quality meal and can’t wait to wow a BBQ gathering next summer. this looks fantastic. Can’t wait to try it. One thing, what is chipotle. Hope I am not sounding dumb. I love the way you photograph all the ingredients; before and after. This looks like a real hit, as usual. 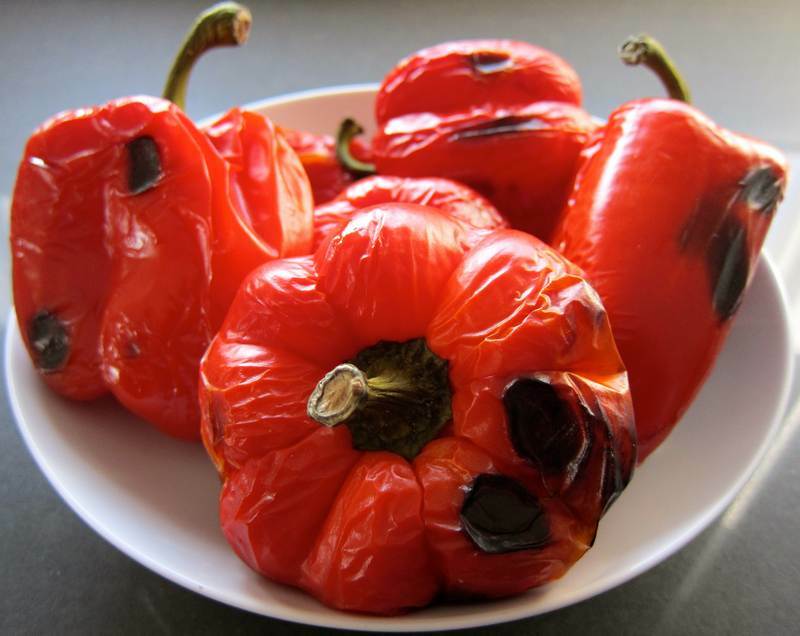 Click on the link for chipotle peppers, see the small can in the ingredient photo. Share a tiny jar with all your friends cause it’s hot hot hot and it’ll knock your socks off! This looks awesome! I’m going to have to try it. Made these for dinner last night and they were as good as I thought they would be! Also made the Jicama Slaw. I’m having it again today for lunch. Yummy!! You have no idea how happy that makes me! I just love passing on great recipes.